The ONLY American to date to win the title 5 years in a row! ・A-FLOW PLATINUM LINE"FOREVER" NAKAMURA SHUSAKU MODEL!!4月7日新発売!! ・Prince Shek選手! !2019PDC Asian Tour1 第3位!! ・森窪龍己選手! !2018WDF ASIA PACIFIC CUP 第3位!! ・Prince Shek選手! !2018HONG KONG TOUR STAGE5優勝!! ・Park Hyunchul選手! !2018THE WORLD STAGE3 第3位!! ・安食 賢一選手! !2018THE WORLD STAGE3 BEST8!! ・大内 麻由美選手! !2018PERFECT 第17戦 女子 優勝!! ・大内 麻由美選手! !2018PERFECT 第18戦 女子 BEST8!! ・山本 信博選手!! 2018PERFECT 第19戦 BEST16!! ・Kim Areum選手! !2018 JAPAN OPEN 女子 準優勝!! ・中村 周作選手! !2018 JAPAN OPEN ユース 優勝!! ・清水 舞友選手! !2018JAPAN LADIES STAGE4 第3位!! ・A-FLOW BLACK LINE CT TYPE"EL DORADO�U"金子憲太モデル!!6月9日新発売!! ・清水 舞友選手! !2018JAPAN LADIES STAGE3 第3位!! ・Prince Shek選手! !2018 PDC Asian Tour4 Macao第3位!! ・安食 賢一選手! !2017JAPAN16 EXHIBITION 第14戦 優勝!! ・清水 舞友選手! !JAPAN LADIES8 EXHIBITION 第14戦 優勝!! ・清水舞友選手! !2017 JAPAN LADIES 第12戦 BEST8!! ・千葉幸奈選手! !2017 JAPAN LADIES 第13戦 準優勝!! ・清水舞友選手! !2017 JAPAN LADIES 第13戦 第3位!! ・A-FLOW"ARCTIC ROAR"Han Woong Hee Model!!10月22日新発売!! ・A-FLOW" ISABELL"Jesus Noguera Perea Model!!10月22日新発売!! ・清水舞友選手! !2017 JAPAN LADIES 第11戦 第3位!! ・A-FLOW PLATINUM LINE"F.M.J"TAKAHASHI YUUSUKE MODEL!!10月11日新発売!! ・A-FLOW PLATINUM LINE"I'LL"CHIBA YUKINA MODEL!!10月11日新発売!! ・清水舞友選手! !2017 JAPAN LADIES 第10戦 第3位!! ・清水舞友選手!! 2017 JAPAN 第9戦 BEST8!! ・A-FLOW"WAVE RIDER SWELL"MAYUMI OUCHI MODEL!!8月21日新発売!! 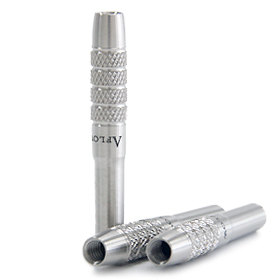 ・DYNASTY DARTS CASE"ANNEX for HARD CASE"!!8月9日新発売!! ・Prussian Arceno選手! !2017THE WORLD STAGE3 優勝!! ・安食 賢一選手! !2017THE WORLD STAGE3 準優勝!! ・Cyril Blot選手! !2017THE WORLD STAGE3 BEST4!! ・新 亜紗子選手! !44th L-style JAPAN OPEN女子 優勝!! ・大内 麻由美選手! !44th L-style JAPAN OPEN女子 第3位!! ・Fallon Sherrock選手! !44th L-style JAPAN OPEN女子 第3位!! ・A-FLOW BLACK LINE CT TYPE"JUJAK First levolution"21g Park Hyunchul Model!!6月19日新発売!! ・A-FLOW BLACK LINE"JUJAK First levolution"19g Park Hyunchul Model!!6月19日新発売!! ・A-FLOW BLACK LINE CT TYPE"LISA"Kim Hyojin Model!!4月23日新発売!! ・清水 舞友選手! !JAPAN LADIES2016 STAGE17 第3位!! ・Kim Hyojin選手! !JAPAN LADIES2016 STAGE17 BEST8!! ・Kim Hyojin選手! !JAPAN LADIES2016 STAGE16 準優勝!! ・清水 舞友選手! !JAPAN LADIES2016 STAGE16 第3位!! ・清水 舞友選手! !JAPAN LADIES2016 STAGE15 BEST8!! ・Kim Hyojin選手! !JAPAN LADIES2016 STAGE15 BEST8!! ・Park Hyunchul選手! !THE WORLD2016 GRAND FINAL 準優勝!! ・Randy Van Derusen選手! !THE WORLD2016 GRAND FINAL Best8!! ・Han Woong Hee選手! !THE WORLD2016 GRAND FINAL Best16!! ・Prussian Arceno選手! !THE WORLD2016 GRAND FINAL Best16!! ・Han WoongHee選手! !2016 KOREA OPEN 優勝!! ・Park Hyunchul選手! !THE WORLD2016 STAGE5 Best8!! ・Randy Van Deursen選手! !THE WORLD2016 Best8!! ・大内 麻由美選手! !PERFECT2016 第16戦 Women's Singles Best8!! ・A-FLOW BLACK LINE CT TYPE"HAMMER"Benjamin Darsch Model!!10月3日新発売!! ・A-FLOW BLACK LINE"HAMMER"Benjamin Darsch Model!!10月3日新発売!! ・A-FLOW BLACK LINE"HERAKLES"MIZUNO TSUYOSHI MODEL!!10月3日新発売!! ・A-FLOW BLACK LINE"EL DORADO No,5"金子憲太モデル9月16日新発売!! ・A-FLOW BLACK LINE"any more remodel"檜山亜紗子モデル!!8月31日新発売!! ・大内 麻由美選手! !PERFECT2016 第11戦 Women's Singles 準優勝!! ・A-FLOW BLACK LINE"SENJU"Prussian Arceno Model!!7月15日新発売!! ・Cyril Blot選手! !THE WORLD2016 STAGE2 第3位!! ・Colin Roelofs選手! !THE WORLD2016 STAGE2 Best8!! ・Jesus Noguera選手! !THE WORLD2016 STAGE2 Best16!! ・大内 麻由美選手! !PERFECT2016 第8戦 Women's Singles 第3位!! ・大内 麻由美選手! !PERFECT2016 第7戦 Women's Singles 準優勝!! ・A-FLOW BLACK LINE COATING TYPE"JUJAK�U"Park Hyunchul Model!!5月26日新発売!! ・A-FLOW STEEL "JUJAK�U"Park Hyunchul Model!!5月26日新発売!! ・Randy Van Deursen選手! !2016THE WORLD開幕戦 第3位!! ・大内 麻由美選手! !PERFECT2016 第5戦 Women's Singles 第3位!! ・大内 麻由美選手! !PERFECT2016 第3戦 Women's Singles 準優勝!! ・大内 麻由美選手! !PERFECT2016 第4戦 Women's Singles 第3位!! ・檜山 亜紗子選手! !JAPAN Ladies2016 STAGE2 Best8!! ・檜山 亜紗子選手! !JAPAN Ladies2016 STAGE2 EXHIBITION優勝!! ・Randy Van Deursen選手! !12th ADA香港 Single501 優勝!! ・檜山 亜紗子選手! !JAPAN Ladies2015 最終戦 第3位!! ・清水 舞友選手! !JAPAN Ladies2015 最終戦 BEST8!! ・大内 麻由美選手! !PERFECT2016 開幕戦 Women's Singles 第3位!! ・大内 麻由美選手! !PERFECT2016 第2戦 Women's Singles 優勝!! ・A-FLOW BLACK LINE"SCEPTER"Prince Shek Model!!2月24日新発売!! ・A-FLOW BLACK LINE"Fallon"Fallon Sherrock Model!!1月21日新発売!! ・A-FLOW"HOT FUZZ" ANTONY LOPEZ MODEL!!12月23日新発売!! ・A-FLOW Steel"HOT FUZZ"ANTONY LOPEZ MODEL!!12月23日新発売!! ・Han Woong Hee選手!! KOREA STAGE3 優勝!! ・大内麻由美選手! !PERFECT 2015 第15戦Women's Singles 第3位!! ・Randy Van Deursen選手! !THE WORLD STAGE6 優勝!! ・Fallon Sherrock選手! !2015World Masters Ladies BEST4!! ・大内麻由美選手! !PERFECT 2015 第14戦Women's Singles 第3位!! ・Prussian Arceno選手! !DARTSLIVE OPEN 2015 SHANGHAI OPEN SIngles優勝!! ・Han Woong Hee選手! !DARTSLIVE OPEN 2015 SHANGHAI OPEN SIngles準優勝!! ・Han Woong Hee選手! !THE WORLD STAGE6 BEST8!! ・Prince Shek選手! !Hong Kong Open2015 Mens Singles第3位!! ・Prince Shek選手! !2015 PHOENIX SUMMER FESTIVAL KOREAN CUP第3位!! ・檜山亜紗子選手! !Hong Kong Open2015 Womens Singles第3位!! ・清水舞友選手! !DARTSLIVE OPEN 2015 SHANGHAI WOMENS SIngles第3位!! ・Randy Van Deursen選手! !AMERICA'S TOUR2015 STAGE4 優勝!! ・Larry Butler選手! !CDC "Continental Cup" Tour Finals優勝!! ・大内麻由美選手! !Ladies World Masters 2015 BEST8!! ・清水 舞友選手! !JAPAN Ladies2015 STAGE9 第3位!! ・清水 舞友選手! !JAPAN Ladies2015 STAGE10 第3位!! ・A-FLOW BLACK LINE"BABE"KONNO AKIHO MODEL!!9月5日新発売!! ・A-FLOW BLACK LINE"RIELL"SHIMIZU MAYU MODEL!!9月5日新発売!! ・清水 舞友選手! !JAPAN Ladies2015 STAGE8 BEST8!! ・Park Hyunchul選手STAR DARTS TOUNAMENT MAX Singles優勝!! ・千葉幸奈選手! !STAR DARTS TOUNAMENT DYNASTY CUP優勝!! ・A-FLOW BLACK LINE PREMIUM"JUJAK�U"Park Hyunchul Model!! 8月8日新発売!! ・A-FLOW BLACK LINE"JUJAK�U"Park Hyunchul Model!! 8月8日新発売!! ・Han Woong Hee選手!! KOREA STAGE2 優勝!! ・今野明穂選手!! PERFECT2015 第8戦 Women's Singles準優勝!! ・今野明穂選手!! PERFECT2015 第9戦 Women's Singles第3位!! ・A-FLOW BLACK LINE PREMIUM"any more"HIYAMA ASAKO MODEL!!7月27日新発売!! ・A-FLOW BLACK LINE"any more"HIYAMA ASAKO MODEL!!7月27日新発売!! ・清水 舞友選手! !JAPAN Ladies2015 STAGE7 BEST8!! ・Fallon Sherrock選手! !JAPAN OPEN Ladies 優勝!! ・檜山 亜紗子選手! !JAPAN OPEN Ladies 第3位!! 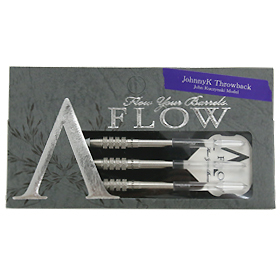 ・A-FLOW BLACK LINE"JohnnyK Throwback"John Kuczynski MODEL!!7月17日新発売!! ・A-FLOW BLACK LINE"RAMPAGE" COLIN ROELOFS MODEL!!7月17日新発売!! ・A-FLOW STEEL"RAMPAGE" COLIN ROELOFS MODEL!!7月17日新発売!! ・清水舞友選手! !JAPAN Ladies2015 STAGE6!! JAPAN Ladies8!! ・檜山 亜紗子選手! !JAPAN LADIES2015 STAGE5 3位タイ!! ・大内 麻由美選手! !PERFECT2015 第5戦 Women's Singles準優勝!! 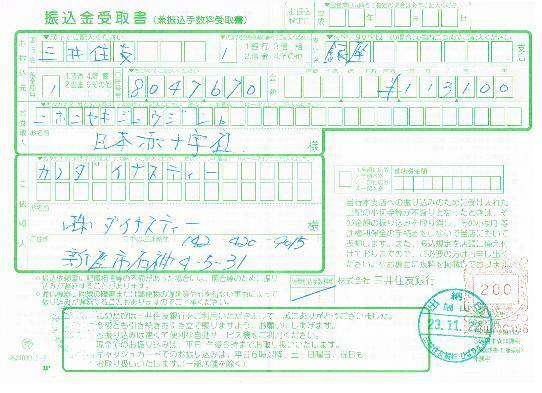 ・今野 明穂選手! !PERFECT2015 第5戦 Women's Singles第3位!! ・A-FLOW BLACK LINE"ARCTIC"Han Woong Hee MODEL!!5月9日新発売!! ・A-FLOW BLACK LINE PREMIUM"ARCTIC"Han Woong Hee MODEL!!5月9日新発売!! ・Prussian Arceno選手! !ADA2015 Top Gun Singles優勝!! ・今野明穂選手! !ADA2015 Ladies' Top Gun Singles3位!! ・Randy Van Deursen選手! !ADA2015　Singles Cricket第3位!! ・2015AI DARTS TOUNAMENT in Taiwan 国家代表戦（大崎裕一選手・Park Hyunchul選手・今野明穂選手） 優勝!! ・檜山亜紗子選手! !2015AI DARTS TOUNAMENT in Taiwan Ladies Singles 優勝!! ・大崎裕一選手! !2015AI DARTS TOUNAMENT in Taiwan Singles 準優勝!! ・今野明穂選手!! PERFECT 2014 最終戦Women's Singles 準優勝!! ・大内麻由美選手! !ALL JAPAN DARTS TOUNAMENT Ladies 優勝!! ・今野明穂選手!! PERFECT 2014 第16戦熊本Women's Singles 準優勝!! ・Park Hyunchul選手! !2014 JAPAN STAGE12 優勝!! ・大内麻由美選手! !2014 HONG KONG OPEN LADIES SINGLES 優勝!! ・檜山亜紗子選手! !2014 ASIA PACIFIC CUP LADIES SINGLES 優勝!! ・大内麻由美選手! !PERFECT 第14戦 静岡 Women's Singles準優勝!! ・Colin Roelofs選手!! WORLD MASTERS BOYS優勝!! ・A FLOW STEEL THE EAGLE�U LARRY BUTLER MODEL!!8月6日新発売!! ・A FLOW BLACK LINE"GLADIATOR2"OSAKI HIROKAZU MODEL!!近日発売予定!! ・Park Hyunchul選手! !JAPAN 2014 STAGE7 JAPAN16!! ・Larry Butler選手! !2014 THE WORLD STAGE2 第3位!! ・Park Hyunchul選手! !2014 THE WORLD STAGE2 BEST16!! ・A-FLOW BLACK LINE PREMIUM"THE CORSAIR" CYRIL BLOT MODEL!! 6月16日新発売!! ・LarryButler選手! !America's Tour 2014 Stage2 Best8!! ・RandyVanDeursen選手! !America's Tour 2014 Stage2 Best8!! ・檜山亜紗子選手! !2014JAPAN LADIES STAGE3 DOUBLES EXHIBITION 優勝!! ・Larry Butler選手! !America's Tour 2014 STAGE1 優勝!! ・A-FLOW BLACK LINE PREMIUM"THE EAGLE�U"100set限定モデル!!3月22日新発売!! ・A-FLOW BLACK LINE PREMIUM"THE EAGLE�UNo.5""100set限定モデル!!3月22日新発売!! ・A-FLOW"THE CORSAIR"CYRIL BLOT MODEL!! 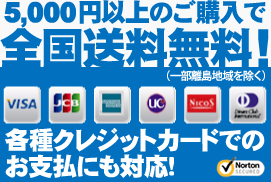 2月10日新発売!! 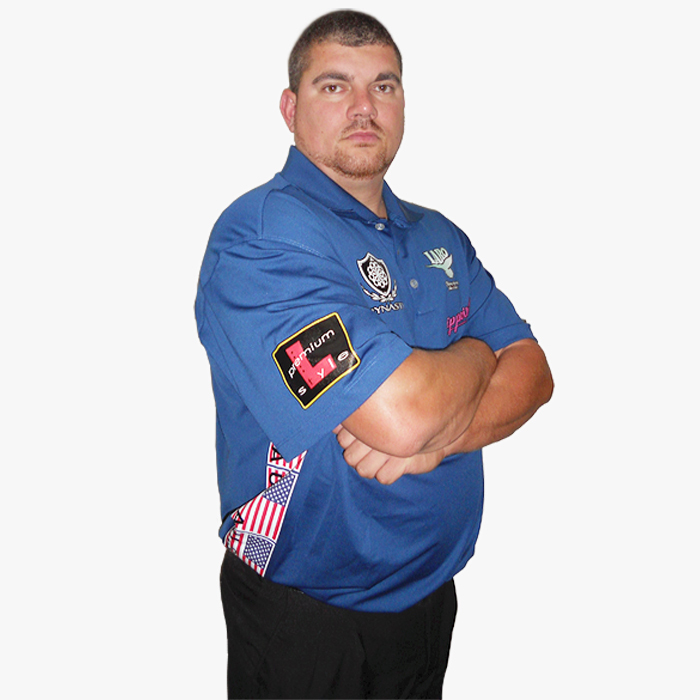 ・A-FLOW"THE EAGLE�U"LARRY BUTLER MODEL!! 2月10日新発売!! ・大内麻由美選手!! ALL JAPAN Ladies 優勝!! ・檜山亜紗子選手!! ALL JAPAN Ladies 準優勝!! ・Park Hyunchul選手! !JAPAN STAGE15 京都 JAPAN16!! ・Randy Van Deursen選手! !THE WORLD2013 GRAND FINAL 3位!! ・A-FLOW BLACK LINE"JUJAK No,5"PARK HYUNCHUL MODEL! !12月21日 新発売!! ・A-FLOW PLATINUM LINE"TINK"KEMA RENA PRODUCE MODEL! !12月21日 新発売!! ・Park Hyunchul選手! !JAPAN STAGE 14 熊本 BEST8!! ・木山幸彦選手! !JAPAN STAGE 14 熊本 JAPAN16!! ・大崎裕一選手! !JAPAN STAGE 14 熊本 JAPAN16!! ・檜山亜紗子選手! !JAPAN STAGE 14 熊本 EXHIBITION 優勝!! ・Larry Butler選手! !AMERICA'S TOUR STAGE4 準優勝!! ・大内麻由美選手! !SUKA-D OPEN Ladies Singles 優勝!! ・Larry Butler選手! !AMERICA'S TOUR STAGE3 優勝!! ・大内麻由美選手! !PERFECT 第16戦 石川 Women's Singles 準優勝!! ・大崎裕一選手! !JAPAN STAGE8東京　EXHIBITION MATCH 優勝!! ・RANDY VAN DEURSEN選手! !THE WORLD STAGE8 BEST8!! ・檜山亜紗子選手!! JAPAN STAGE7福岡 EXBITION MATCH 優勝!! ・大内麻由美選手!! PERFECT 第12戦 広島 Women's Singles 準優勝!! ・POCKET IN DARTS CASE"SAYA"!! 7月31日発売決定!! ・Larry Butler選手! 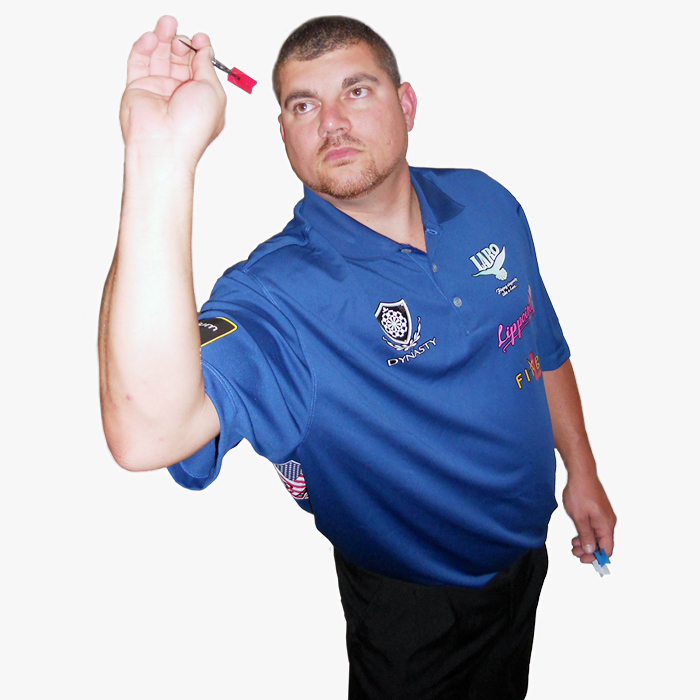 !Kingston Ontario NACT PDC Championship 優勝!! ・POCKET IN DARTS CASE"SAYA"NEW COLOR!!近日発売予定!! ・A-FLOW BLACK LINE"TWINFLAME BOOST"KIYAMA MODEL!!7月3日新発売決定!! ・A-FLOW BLACK LINE PREMIUM"TWINFLAME BOOST"200set限定MODEL!!7月3日新発売決定!! ・Park Hyunchul選手!! JAPAN 2013 STAGE4 兵庫 BEST8!! ・Park Hyunchul選手!! JAPAN 2013 STAGE4 兵庫EXHIBITION MATCH優勝!! ・大崎裕一選手!! THE WORLD STAGE2 BEST8!! ・大崎裕一選手!! THE WORLD STAGE2 WORLD14達成!! ・Park Hyunchul選手!! JAPAN STAGE 3愛知 第3位!! ・水野剛選手!! JAPAN STAGE 3愛知 BEST8!! ・A-FLOW BLACK LINE"any"ASAKO MODEL!! 5月11日発売決定!! ・A-FLOW BLACK LINE"BigDog"RANDY VAN DEURSEN MODEL!! 5月17日発売決定!! ・A-FLOW BLACK LINE PREMIUM"BigDog"【200set限定MODEL】!! 5月17日発売決定!! ・木山幸彦選手!! JAPAN STAGE2 新潟 第3位!! ・Park Hyunchul選手!! JAPAN STAGE2 新潟 BEST8!! ・檜山亜紗子選手!! JAPAN LADIES STAGE2 新潟 準優勝!! ・POCKET IN DARTS CASE"SAYA"!! 3月15日発売決定!! ・POCKET IN DARTS CASE"SAYA"!! 近日発売予定!! ・大内麻由美選手!! Ladies D-CROWN 最終戦 優勝!! ・大内麻由美選手!! Ladies D-CROWN 2012 年間優勝!! ・木山幸彦選手!! JAPAN STAGE16 神奈川 JAPAN16奪取!! ・木山幸彦選手!! JAPAN STAGE15 熊本 JAPAN16奪取!! ・大崎裕一選手!! JAPAN STAGE15 熊本 JAPAN16奪取!! ・木山幸彦選手! !JAPAN STAGE13千葉 DOUBLES EXHIBITION 優勝!! ・大崎裕一選手!! JAPAN STAGE 11 山形 DOUBLES EXHIBITION 優勝!! ・大崎裕一選手!! JAPAN STAGE10 北海道 JAPAN16奪取!! 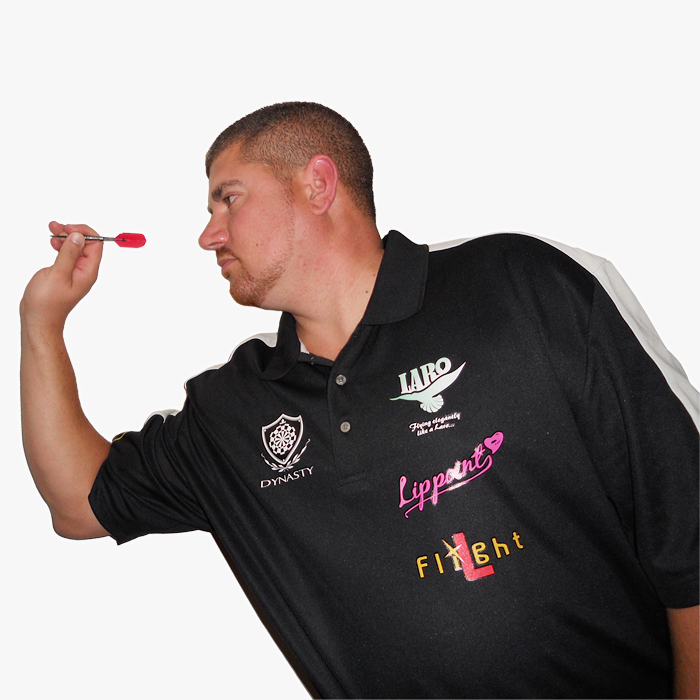 ・Darts Board Bracket Sysｔem発表 !! 9月3日発売決定!! ・Park Hyunchul 選手! !THE WORLD STAGE5 BEST8!! ・大崎裕一 選手! !THE WORLD STAGE5 BEST16!! ・NEW SERISE【刀】Katana 第一弾 3種 7月8日発売決定!! ・大崎裕一選手 JAPAN STAGE5 北海道 JAPAN16を奪取!! ・大崎裕一選手 JAPAN STAGE4 東京 JAPAN16を奪取!! ・"THE EAGLE"Steel Larry Butler Model6月20日発売決定!! ・"Johnny K"Steel John Kuczynski Model6月20日発売決定!! ・"THE EAGLE"Steel Larry Butler Model 発表!! 近日発売予定!! ・"Johnny K"Steel John Kuczynski Model 発表!! 近日発売予定!! ・"THE EAGLE"Larry Butler Model 5月11日発売決定!! ・"Johnny K" John Kuczynski Model 発表!! 5月11日発売!! 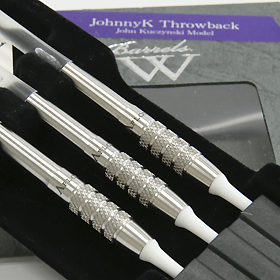 ・Johnny K"Johnny K"刻印入りPREMIUM Model 発表!! 5月11日発売!! ・Park Hyunchul選手 D-CROWN 第3戦 in 京都【Grade 2】3位入賞!! ・大内麻由美選手 LADIES D-CROWN 第3戦 in 京都【Grade 2】準優勝!! ・THE EAGLE Larry Butler Model 近日発売予定!! ・"TWIN FLAME α" 木山幸彦モデル 発表!! 2月8日発売!! ・"TWIN FLAME α" PREMIUM【鬼山刻印入り 200set限定】発表!! 2月8日発売!! ・A-FLOW PLATINUM LINE PREMIUM 【各100set限定】1月23日発売決定!! 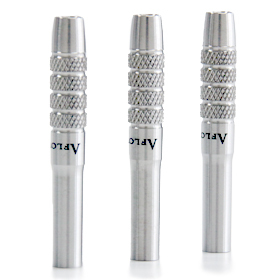 ・BRASS DARTS Set 4種発表!! 1月11日発売!! ・EMBLEM JACK type-B 新色発表!! 1月11日発売!! ・大崎裕一選手 PERFECT 最終戦 千葉 準優勝!!! ・大内麻由美選手 Ladies D-CROWN 最終戦 in 仙台 SINGLES 優勝!!! ・A-FLOW PLATINUM LINE "MOMENT"発表!!! 12月13日発売!!! ・A-FLOW PLATINUM LINE "BURNING"発表!!! 12月13日発売!!! ・A-FLOW PLATINUM LINE "CANNON"発表!!! 12月13日発売!!! 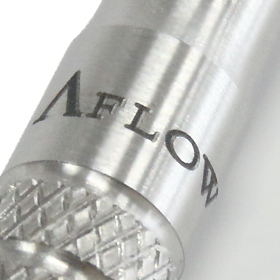 ・A-FLOW PLATINUM LINE PREMIUM 【各100set限定】12月13日発売!!! ・Osaki Hirokazu Produce Model 近日発売予定!! ・Ouchi Mayumi Produce Model 近日発売予定!! ・大内麻由美選手 IDF DARTS WORLD CUP 上海 WOMEN SINGLES PRO 501 優勝!! ・大内麻由美選手 IDF DARTS WORLD CUP 上海 WOMEN SINGLES OPEN CRICKET 優勝!! ・大内麻由美選手 IDF DARTS WORLD CUP 上海 WOMEN SINGLES PRO CRICKET 準優勝!! ・Johnny K選手 THE WORLD STAGE 8 準優勝!! ・大内麻由美選手 LADIES D-CROWN 第23戦 HDT 3rd STAGE【神戸】 シングルス優勝!!! ・A-FLOW PLATINUM LINE "GLANCE"発表!!! 10月30日発売決定!!! ・A-FLOW PLATINUM LINE PREMIUM"GLANCE"【限定100set】発表!!! 10月30日発売決定!!! ・Kiyama Yukihiko Produce Model 近日発売予定!! ・PUMA DARTS×DYNASTY Collaboration DARTS BOARD"EMPEROR" 9月19日発売決定!! ・ 大崎裕一選手 2011 burn.JAPAN TOUR BEST4 !! ・ 木山幸彦選手 2011 burn.JAPAN TOUR BEST8 !! ・大内麻由美選手 Ladies D-CROWN 第17戦 2011 TOKYO GRAND CHAMPIONSHIP シングルス準優勝!! ・PUMA DARTS×DYNASTY Collaboration DARTS BOARD EMPEROR発表!! 近日発売予定!! ・大内麻由美選手 LADIES D-CROWN 第14戦 D-1名古屋大会 シングルス優勝!! ・大内麻由美選手 LADIES D-CROWN 第14戦 D-1名古屋大会 ダブルス準優勝!! ・大内麻由美選手 LADIES D-CROWN 第11戦 第三回 甲府決戦・Kuleha Doubles 3位 入賞!! ・大内麻由美選手 D-CROWN TIGA GRANDPRIX 2011 女子シングルス準優勝!! ・大内麻由美選手 MJ Tournament'11 SPRING Lady's Singles 準優勝!! ・A-FLOW GOLD LINE[PLAYERS CHOICE]2種発表!! 5月22日発売決定!! ・D-evolution DARTSCASE DXver 2種発表!! 4月17日発売!! ・A-FLOW GOLD LINE[PLAYERS CHOICE] 3種発表!! 3月14日発売!! ・大内 麻由美選手 2010 Tokyo Darts Open 女子シングルス 第3位入賞!! ・大内 麻由美選手 D-CROWN 第3戦 Hanshin Darts Tournament 1st STAGE 女子 Doubles 準優勝!! ・EMBLEM QUEEN WIRELESS[オリジナルブラスダーツ付] 3種発表!! 2月27日発売!! ・A-FLOW BLACK LINE PREMIUM 3種発表!! 各200set限定!! 12月24日発売予定!! ・大崎裕一選手　PERFECT2010 第12戦 熊本 第3位入賞!! ・大内麻由美選手　ASIA PASIFIC CUP　3位入賞!! ・大崎裕一選手 PERFECT 2010 第10戦 静岡 3位入賞!! ・A FLOW "TWIN FLAME" 木山 幸彦モデル6月5日数量限定先行発売!! ・A FLOW "TWIN FLAME" 木山 幸彦モデル6月24日全国発売!! ・A FLOW "TWIN FLAME" 木山 幸彦モデル発表!6月新発売!! 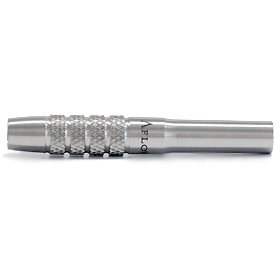 ・D-evolution DARTS CASE 【木山モデル ＫＩＹＡＭＡロゴ刻印入り　３折エナメルケース】4月23日新発売!! 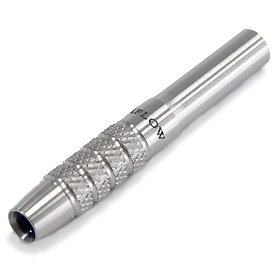 ・D-evolution DARTS CASE 【江口モデル ＡＧＥロゴ刻印入り　３折エナメルケース】4月23日新発売!! 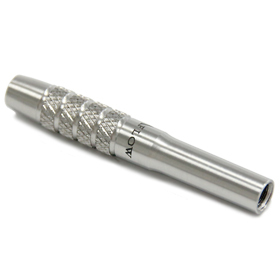 ■DYNASTY DARTS CASE"ANNEX for HARD CASE"